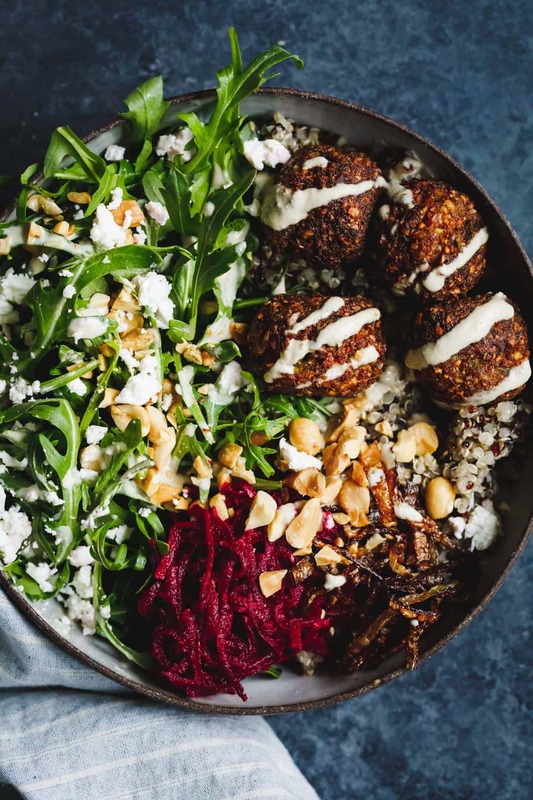 These are seriously some Falafels GOALS! I’ve been meaning to get my Falafel recipe online for weeks now. The prep photos were taken the recipes are written (yes, there is more than one way to make Falafels) but I keep eating my props or I can’t seem to get them cooked before the sun no longer beams through my windows. And that a problem when you’re working with an iPhone 5 for your food photography. Soon I’m going to invest in a real camera and maybe some lights since I live in Canada where the day end at 4:00 in the winter. sigh….. This gorgeous falafel bowl was created by Dana @ Minimalist Baker it’s a lightly fried falafel, tabouli, hummus, olives, and tahini sauce. She’s just missing the Pita bread and it would look like a regular weeknight dinner. One thing she adds to the recipe is Oat flour, yeah totally omit that and add chickpea four….that the only flour used in Falafels. Falafels are 99% gluten-free unless the cook just can’t find the chickpea flour. Did you know that you can add veggies to you Falafels? I did and I do on regular basis, from zucchini to roots like sweet potatoes, beet, and butternut squash. It can be a bit tricky to get the constancy right when adding veggies to a falafel. A sign of the perfect Falafel is a really crispy outside and a light fluffy inside pack with a mouthful of flavor. You can find this recipe The Snixty Kitchen. Don’t you just love her presentation? I think I could eat this bowl every day. 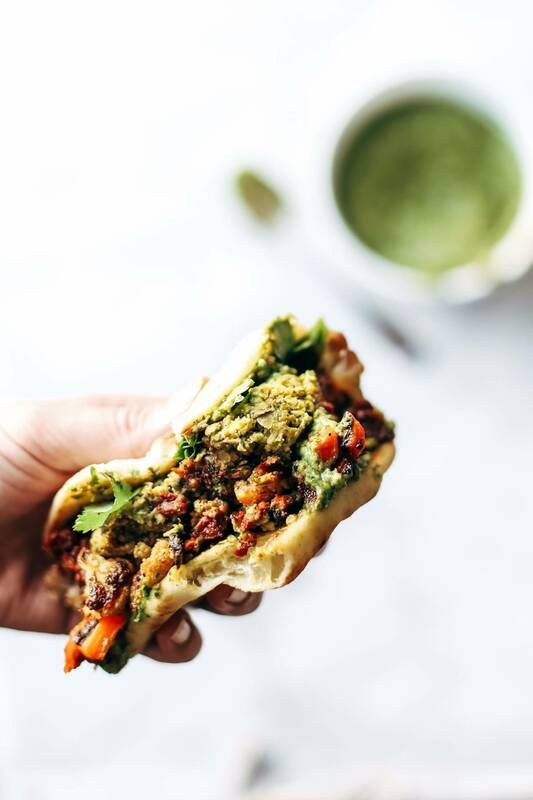 Now this Falafel naan-wich is a meal that speaks right to my heart, roasted veggie, garlic naan, and falafel sauce! YES, YES, and one more YES with a fist pump. You must try this combo out for yourself, I usually make it with roasted potatoes, regular naan, 3-minute garlic sauce (recipe coming soon!) falafel sauce and of course Falafels! Do you love Falafels or have you tried these falafels? Tell me know in the comments below.